Easy Way To Disable Post oEmbed on WordPress Site | BloggersStand ';-1!=b.indexOf("img.youtube.com")&&(a=' ');d=a+''+p+''+titlex+"
In this article, we will explain how to disable post oEmbed on your WordPress site.WordPress 4.4 introduced a post oEmbed feature which allows other users to embed WordPress posts into their Wordpress website by adding the post URL. What is Post oEmbed in WordPress? OEmbed provides to embed content from one site to another. Lot's of popular websites like Flickr, YouTube, Twitter, etc use it.These types of Websites that allow other websites to embed their content using oEmbed protocol are called oEmbed providers.After launching WordPress 4.4, all WordPress sites using the latest version will become an oEmbed provider themselves. Now By default it's enabled on Wordpress website. This feature only allows other websites to show a small summary of your content with post title and featured image.So there is no harm if it's activated. 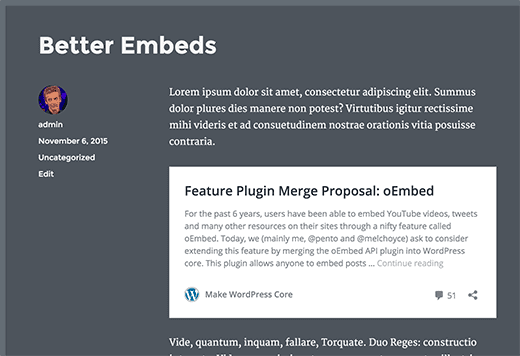 To disable post oEmbed first thing you need to do is install and activate the Disable Embeds plugin. 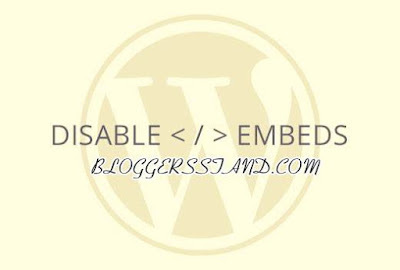 There are no settings to configure.Just activate the plugin will disable oEmbed for posts on other WordPress websites. 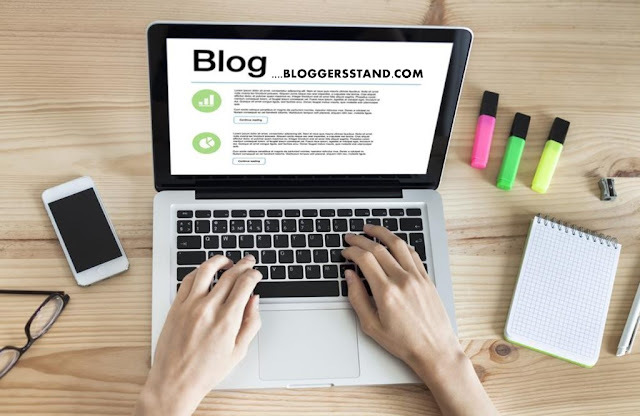 We hope this article helped you to learn How to disable posts on your Wordpress website and it's features.If you liked this article please Join us on Facebook,Twitter,Google Plus. 0 Comments on "Easy Way To Disable Post oEmbed on WordPress Site" So Far - Post Yours!